It was 1958 when my father, Frank Springer, took his first California buck. 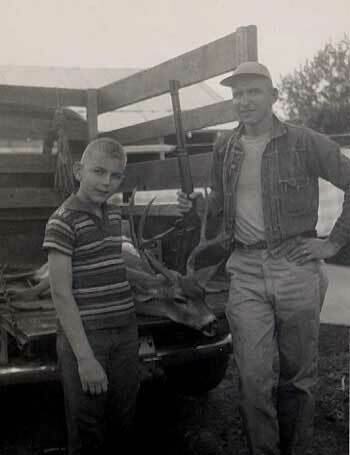 I was 11 years old  just one year too young to hunt deer myself, but happy just to have been on the hunt. This nice 4x4 blacktail was bagged west of what is now Lake of the Pines between Grass Valley and Auburn. A Winchester Model 94 .30-30 did the trick as a friend and I did a drive through the woods and pushed the buck out to my dad.